Pictured is the Townsends Inlet bridge connecting Sea Isle City and Avalon. A well-travelled toll bridge linking two Jersey Shore towns may reopen in time for the summer season after undergoing emergency repairs. 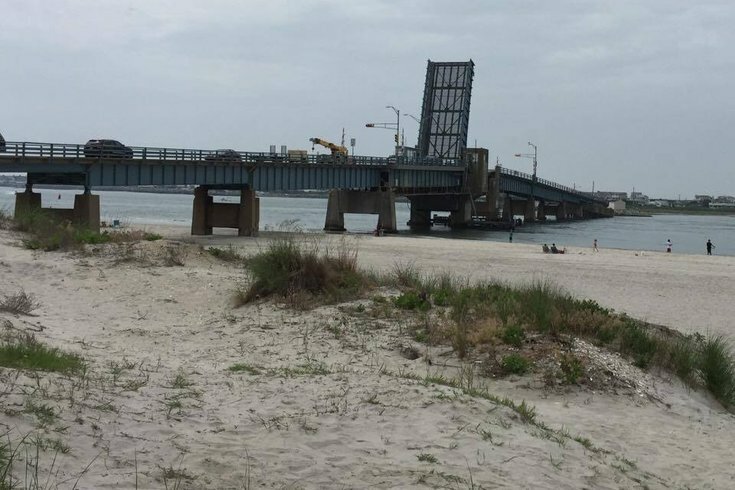 In a message to Sea Isle City residents Friday, Mayor Len Desiderio said the Townsends Inlet Bridge, which connects the town to Avalon, should be open to drivers, cyclists and pedestrians by Memorial Day Weekend — "barring any unforeseen problems," that is. The bridge, which had been closed for three straight winters from 2012-15 for repairs, was abruptly shut down again earlier in April after a crack was found in one of the supporting piers 20 feet below the water. At the time, Cape May County engineer Dale Foster said the closure was indefinite. Foster reinforced to NJ.com that the bridge should be reopened by Memorial Day. He told the website officials were "baffled" as to how the crack formed in the first place. Foster said an engineering firm and contractor have been hired to work on the repairs. The bridge was originally constructed in 1939, and the current supporting piles were built in 1962. Despite its age, Foster told NJ.com continuing repairs were cheaper than building a whole new bridge.